Every writer, dreams about this day. The moment your latest work is about to be unleashed. You've worked long and hard for it and the day has finally come. You've shed blood (preferably not someone esle's), sweat (and boy didn't you look hot at that moment), and more than a few tears (I'm not even going to try and make a joke on this one, I know damn well I've shed more than few in frustration, or because I wrote a section that moved me enough to shed them). 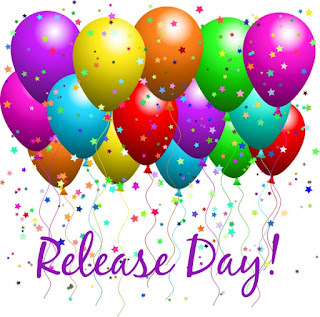 So you're all set and ready for your book's release, but in the back of your mind you have to keep asking "Is my work truly ready to be released?" In my case the answer was a resounding "NOT EVEN CLOSE!" So, as a result of this fact, I've decided not to release my next work "The Vampyre Blogs - Coming Home" until further notice. As you all know I talk a lot about writing and the different aspects of it. Recently I got to wondering about where it all begins. 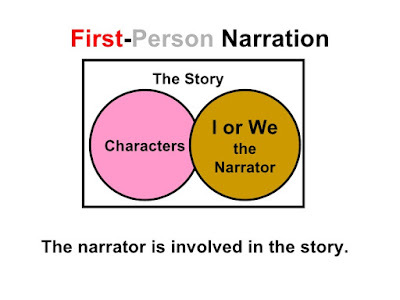 Where do most stories originate or come from in the first place? Naturally the answer is a person gets an idea and starts to explore different avenues with it. But that wasn't good enough of an answer to me. I had to ask, where does the idea come from in the first place? Where does idea get its beginning? 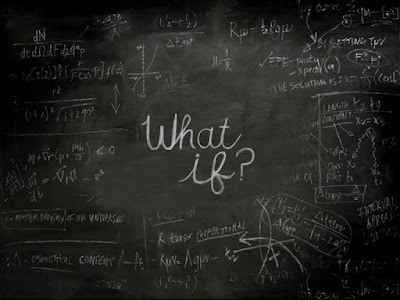 What if... I began to ask and then stopped. I'd just found my answer. Two little words... that's all it takes for a story idea to be born. But it doesn't stop there. Oh no, my friends those two little words keep popping up throughout the writing process. Time and time again, I find myself asking or thinking those two words as I'm working on scene after scene. Or if I'm trying to decide which direction to take the story next. I've currently been focusing most of my writing time on revising and editing the 2nd draft of "The Vampyre Blogs - Coming Home". As I've mentioned in previous blog entries, this is the first time I'm working from the 1st Person Perspective. What makes this so different from third person, is the fact that the character is the narrator, instead of me just letting readers see inside the heads of the various characters. This time I had to not only get inside the character's head, but I had to do a lot more. Each character has something special beside their own thoughts and ideas. They may walk a certain way, have an outgoing personality, or be quiet and shy, which can all be shown by describing how they behave around the other characters. But there was one thing I really had to learn about them this time that I hadn't really explored as deeply before. I had to find their voice. Recently I was on one of the buses that I regularly take to get to my university. As I was riding I was taking in the scenery and smiling to myself. A girl who had taken the seat next to me noticed and said I must be having a good day. I responded by telling her I was observing the scenery and thinking about some of the trees. 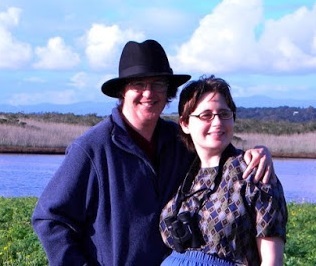 In particular I drew her attention to the Spanish Moss growing on several of the trees. "Is that what's growing on them? 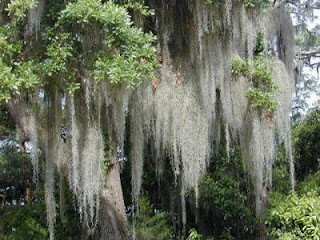 I've heard of Spanish Moss but I never saw it before," she told me. I nodded and replied, "Now picture that stuff moving on its own, maybe reaching down and grabbing a someone as they're walking by." That freaked her out a bit as she looked at me with wide eyes and said, "That's creepy! You must be into horror movies and such."